We are going to add 3D object recognition to our robot so I have been trying to implement PCL 1.7 on ubuntu 12.04 these two weeks, where the ROS version is fuerte. As we know, even we only want to have a small function in ROS, we need to look into a lot of documents and it is a pity that there is very few step by step tutorial. I simply record what I have done for the past two weeks for my own reference and I hope it can help some one who want to do the same thing. If you are using Groovy or Hydro, this article may not be helpful on some technical details. However, the pipeline should be the same. Currently PCL is independent from ROS. And the original ros wiki http://wiki.ros.org/pcl does not provide up-to-date info for PCL installation. We need to refer to wiki.ros.org/pcl17 and you can get basic ideas how to do that through reading the following two posts. For me, I have downloaded pcl17, but for pcl_ros I am using the original one with fuerte. The package pcl_ros provides functions to convert different data types between PCL and ROS and transformation for point cloud. It takes quite a looooooong time to compile pcl17. Over 3000s on my Thinkpad T410. So please be patient or just AFK.. Though the compilation of the pcl17 itself is not a problem, it is not that straight forward to include PCL in your own ROS code. Firstly, we try to go through the pcl/Tutorial. This is a very important tutorial and you should read the whole page line by line and try not to miss a single word! This section is just following and explaining the ros tutorial, solving the problems during compilation. I stick to the dependency on pcl_ros package because I am not using pcl17_ros. You should be able to compile the example.cpp successfully. Proceed on to ros pcl tutorial section 4.1, simply add the 5 lines of codes into function cloud_cb(), pcl::VoxelGrid . 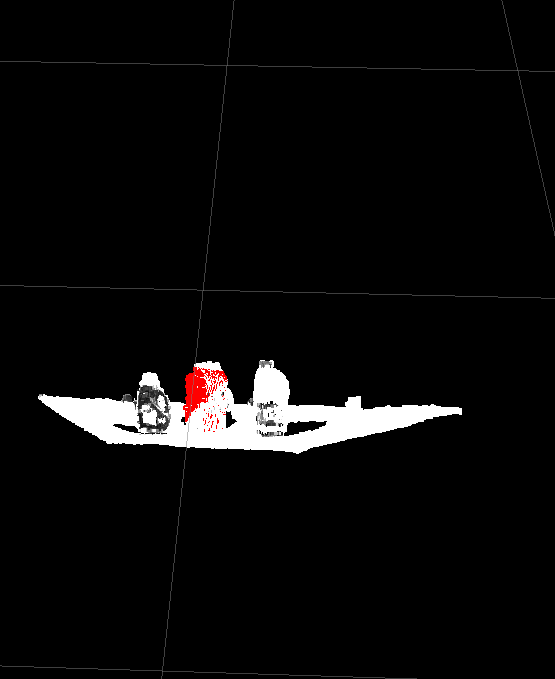 Now you have a function which can down sample the point cloud. The results can be visualized in rviz. Now we can see some results in rviz. Pay attention to the format whether your input argument is a pointer or not? We will give detailed examples in the next section. After trying out some examples, now we are going to integrate the object recognition with ROS. Please refer to the following link. Now let's try to realize the function in ROS. Read through the PCL tutorial, get familiar with the functions. As we already have the ROS skeleton for PCL, what we need to do is to embed the main() function into cloud_cb(). It is not necessary to have showHelp() and parseCommandLine(). We simply modify the parameters in the program. If you want use command line to control the parameters, ROS provides powerful tools to do that.. Similarly, change all the pcl:: to pcl17::. Pay attention to PCL_VISUALIZER_POINT_SIZE, this parameter in visualization:: class need to change to PCL17_VISUALIZER_POINT_SIZE. To use the .pcd file provided by the tutorial, you can simply read the .pcd file, or using pcl_ros::fromROSMsg, take in the parameters are arguments for cloud_cb(). Here, we read the model from the file, and takes in the scene from ROS topic. In this way, it is easier to change the scene from .pcd file. To read the .pcd file, we can use the loadPCDFile() provided by PCL. 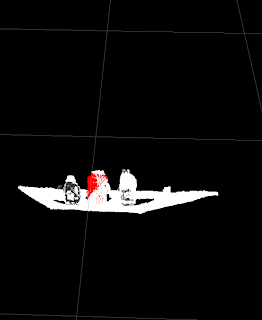 However, it seems that the loaded point cloud does not contain the transformation/reference information, we need to define it in either camera_link or base_link. Or else it cannot be shown in rviz because rviz cannot perform a transformation. // The model is loaded from pcd file, the scene is directly obtained from the camera, rostopic, which is an input of the cloud_cb. If you are still not clear how to modify the code, leave me a message with your email. Finally, we are not going to use the visualization module. Because the visualization will spin itself and the call back function stops there...Instead, we need to publish the topic and visualize the results in rviz. So, we can comment out all the visualization:: class related code. The specific lines which need to be commented are listed below. The executable for our program is correspondence_grouping. Here several errors are listed. However, some errors may not be a problem if you have already changed your code according to my suggestion. Hopefully you can compile you code successfully. So the reference for the cloud is by default /base_link. And now we can have a look at the results in rviz. Hi, I can't understand how to modify the code from your tutorial, could you send me your edited codes or guide me along please? My email is liewchaochien@hotmail.com. Thanks. i would like to have it as well if possible. Hello can i also have that code? i tried to do it my self but became tired but couldn't exactly run it. It has really been a very long time.. sorry that I cannot give any help ..